Karl Barth addressed all the major themes of dogmatic theology, and in so doing made his own distinctive contribution to each of the ongoing conversations that constitute that theology. 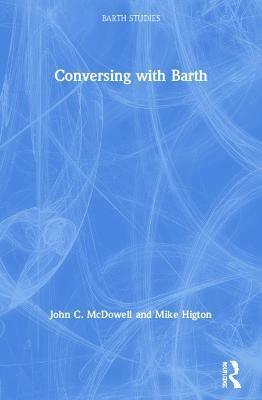 This book presents important new 'conversations with Barth' by leading contemporary theologians and Barth scholars. Each contributor offers their own distinctive emphasis to bring to light the ways in which the depths of Barth's work may illuminate or be illuminated by the work of other prominent thinkers who preceded or followed him. The conversations they host between Barth and other philosophers and theologians raise critical questions in the reading and appreciation of Barth's thought, and explore a wide range of themes in dogmatic theology. This book not only adds to the comprehension of the riches of Barth's theology but also presents an important contribution to the ongoing conversations and debates alive in theology today. Contributors: Nicholas Lash, John Webster, Timothy Gorringe, Graham Ward, George Hunsinger, Ben Quash, Mike Higton, John McDowell, Eugene Rogers, Katherine Sonderegger, David Clough, David Ford. Contents: Preface, Nicholas Lash; Introduction: Karl Barth as conversationalist, Mike Higton and John C. McDowell; 'There is no past in the Church, so there is no past in theology': Barth on the history of modern Protestant theology, John Webster; Culture and barbarism: Barth amongst the students of culture, Timothy Gorringe; Barth, Hegel and the possibility for Christian apologetics, Graham Ward; A tale of two simultaneities: justification and sanctification in Calvin and Barth, George Hunsinger; Exile, freedom and thanksgiving: Barth and Hans Urs von Balthasar, Ben Quash; The fulfilment of history in Barth, Frei, Auerbach and Dante, Mike Higton; 'Mend your speech a little': reading Karl Barth's das Nichtige through Donald MacKinnon's tragic vision, John C. McDowell; The eclipse of the spirit in Karl Barth, Eugene F. Rogers Jr.; Et resurrexit tertia die: Jenson and Barth on Christ's resurrection, Katherine Sonderegger; Fighting at the command of God: reassessing the borderline case in Karl Barth's account of war in the Church Dogmatics, David Clough; Afterword: conversing with Barth, David Ford; Index of names. John C. McDowell, University of Edinburgh, UK and Mike Higton, University of Exeter, UK Mike Higton, John C. McDowell, John Webster, Timothy Gorringe, Graham Ward, George Hunsinger, Ben Quash, Eugene F. Rogers Jr., Katherine Sonderegger, David Clough, David Ford.